My life in Shanghai has finally returned to normal for me which means I can start blogging again! The weather is quickly beginning to warm up and Shanghai has began to blossom with the colors of spring. Shop fronts have shed their winter gear too and are now showing off the beauty of spring. Zara Home showcases a nautical theme this season with soft colors and light fabrics. Hong Kong brand, Izzue, utilizes bouquets of flowers to give their look a fresh vibe. 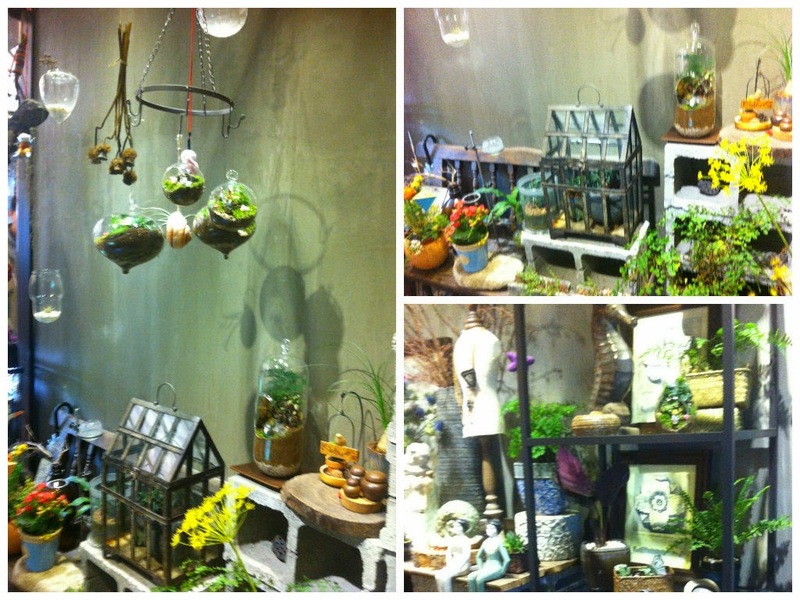 Chodron, an Anthropology-esque shop is always blooming with a natural, spring type decor. It gives me the feeling of living in a moss garden. Just a bit down the street from Jing'an temple is a large luxury shopping mall that has this strange flower head display. At the Jing'an Kerry Center (south B1) there is an interesting trompe l'oeil that provides a great background for photos. But, it's not only shops that display the change of seasons. Blossoming flowers can be seen all over the city and in some uncommon places too! This Shanghai primary school is one of the cutest schools I have ever seen. Don't you think so? The heart shaped shelf, flowers and light colors really work well to create a light and airy atmosphere. 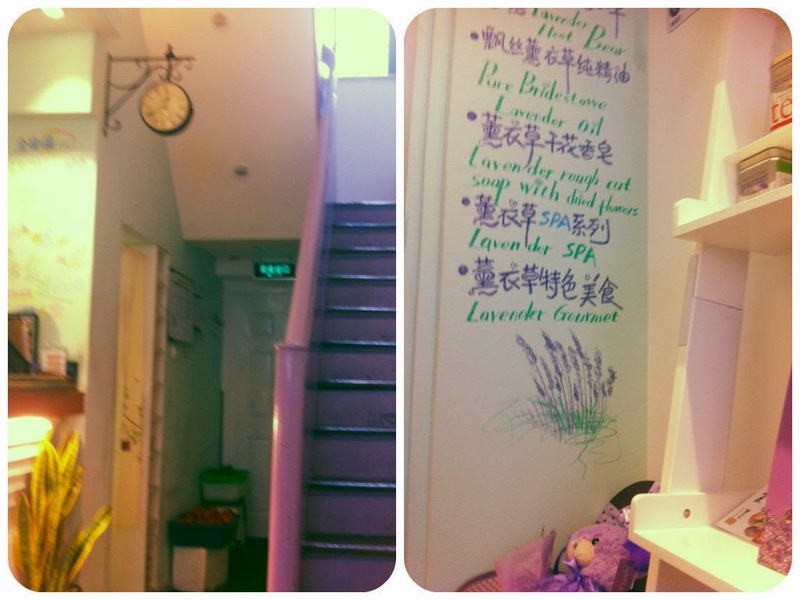 This cute shop, 6ixty8ight, features a delightfully feminine wallpaper in the dressing room. I happily stumbled upon Veggie Dot, a small vegetarian restaurant in Jing'an one day and was please to find it not only has adorable decor, but the food and service is also top notch. Mister Donut is also celebrating the season with special sakura flavored donuts. They are too cute! Of course Shanghai has plenty of public parks where you can enjoy a relaxing afternoon. 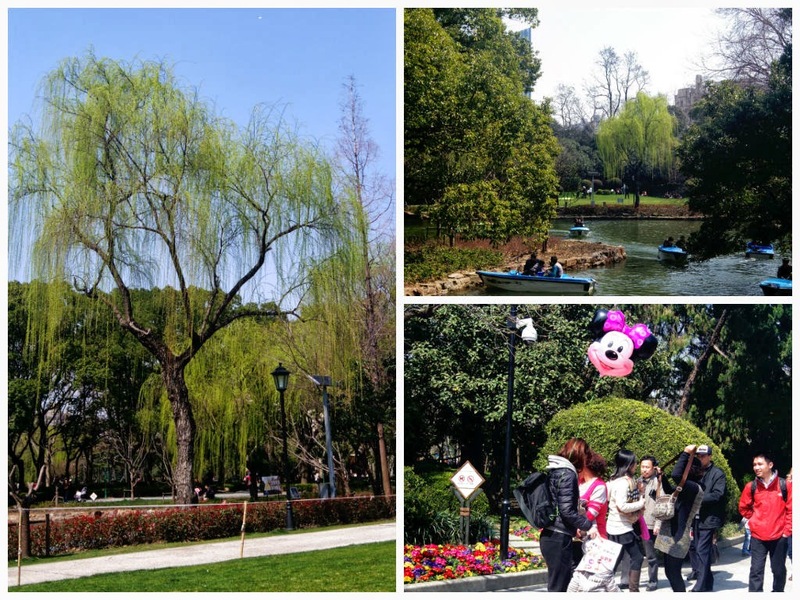 One of the many parks in the city is, Zhongshan park (metro line 1,11,9). There are many lawns here that are perfect for picnics! Finally, on an unrelated note, Japanese zakkaya, Swimmer, is having a seasonal sale! All items are currently 40-60% off!!! I stopped by the People's Square location (in Dimei Guangchang) and picked up a few cute items all for only 47RMB!